Water leakage can be highly annoying and messy at times! Detecting the exact point of the leak could even be more tiring and often not easy to detect without getting assistance of professionals, especially if the pipe is hidden under the ground. We facilitate various mechanisms coupled with most advanced tool and apparatus for pipe leak detection and ascertain the exact point of leak. Once it is identified; we apply the accurate remedial measures. When a pipe, holding high pressure of water leaks, the water flows out of the exit point forcefully and creates a vibration, which is transmitted through the pipe to the surroundings and can be heard through highly sensitive and specialist acoustic listening devices/leak detectors. We identify the accurate location of the leak without digging the ground, facilitating our high end sound sensors especially meant for it. The closer the sensor is to the leak point, the louder the noise would be. We facilitate highly sophisticated ground microphones for pipe leak detection spending minimum time. 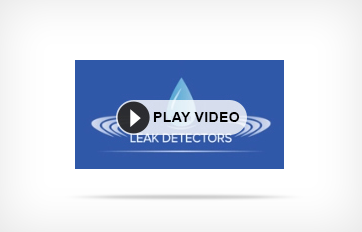 Why should you rely on this mechanism of identifying and fixing any water leak in your home or workplace?Very obvious reason to understand – it saves your time, efforts and often relentless effort as at time you may not identify the exact leak location manually from the ground. This service is specially developed to help detect leaks, often witnessed in homes and business places or high rise complexes! Be it in any location or any surrounding, these services can work effectively under any circumstances! We spend less time and effort reaching the exact point of leak facilitating our most advanced and highly sensitive sensory devices. We have on board a well qualified and professionally trained round the clock crew of detector in Melbourne to offer timely and best services at odd hours too. We’re licensed firm, and can provide with a certificate to our customers for getting rebates from Water Corporation for using excess water. We not only detect and fix leaks, but also offer consultation to customers to avoid any further hazards. We specialize in offering various leak detection services using highly sophisticated equipments to offer the best results. No more leaks now! If you find any, give us a call on 1800 053 257. We will do the rest!